Will language support give the steroids for ecom growth in India? The year 2010 recorded 10 million online shoppers, 2011 recorded 17 million (year ending May-2010 & May-2011). This shows a 70% growth, which is surely good. But experts say it is easy to show “high growth percentages” on low user base. Agreed, but still let us celebrate the growth. The recent unconfirmed $1b valuation of Flipkart has made everyone to stand up and notice the ecom growth. The majority of ecom sales has been in the travel industry (train and air tickets). But lately non-travel has shown the highest growth (books, electronics, apparel). According to the study, there are 13.5 million shoppers ordering non-travel products online compared with 8.6 million buyers of travel products on the Internet. This is a healthy sign. The Internet has a base of 50 million consumers in India who either search or buy products online. 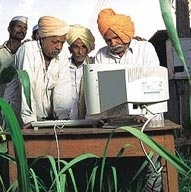 The base of daily users of the Internet, which reaches 29 million households in the country, grew 33%. MVAS report: This report was released in New Delhi at a full day conference hosted jointly by Analysys Mason and IAMAI. During his address after the release of the report, Shri Sachin Pilot, Minister of State Communications and IT, Government of India commented, “Mobile value added services is miniscule at present in comparison to its potential and the government would make appropriate efforts to put the industry on an equitable and sustainable growth path.” However, in order for the industry to be a success, he suggested that service providers should provide locally relevant services in local languages. Today’s Mint article has a quote from JuxConsult’s Sanjay Tiwari: The lack of language options on the Internet as the biggest stumbling block in the way of its growth. If the industry wants Internet usage to multiply, companies should make the medium available in different Indian languages. “All the utility services—job search, shopping and banking—are in the English language, making the case for very slow growth. We don’t see any effort in that direction,” he added. We have heard from almost every politician that the internet doesn’t have sufficient Indian language content and services. Why hasn’t the government taken interest in implementing railway ticketing in all official languages (or at least the major 10 languages)? After all railway ticketing is the real Kohinoor in India’s ecommerce crown. It is the railways which proved to India and the rest of the world many years ago that ecommerce existed in India in spite of lack of internet access and low credit card penetration. The Indian govt is way behind in imparting content in Indian languages on their official sites. When it comes to tax filing the govt has done a commendable job in shifting the filing from offline to online. But where is the language support? A Bangalore based travel company was in touch with me recently for implementing the language version of their site. We were more than happy to share our findings with them. We at Oneindia.in were one of the first ones to introduce language support in our classified site click.in. We have seen a good growth in “consumption” of language classifieds, i.e. people seem to read our language classified but majority of the postings happen in English. I have always believed India is a “reading community”, so we need to first ensure people consume language content on the internet, only after that we can think about language UGC, language ecommerce.